If a guest is disruptive, what can I do? What can I do if a guest is disturbing others? 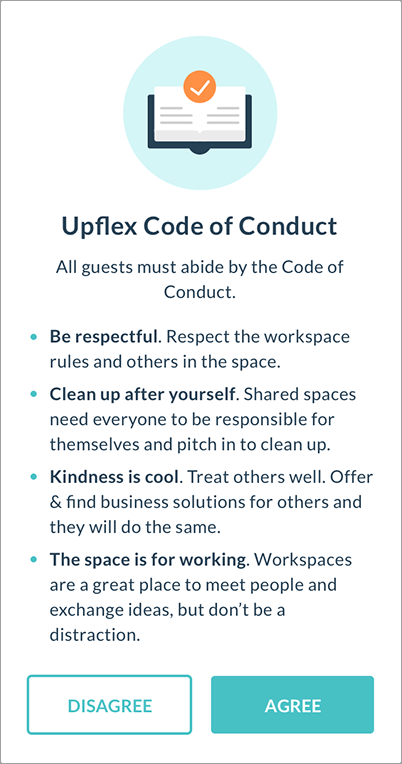 All Upflex guests have to agree to a code of conduct when visiting a space. We only work with companies, and thus the guests that are visiting your space will be employees of our clients. However, we recognize that occasionally we may have circumstances where the employee is not following our code of conduct arrangement. In this case, you should handle the situation as you would with any guest. We also ask that you notify us directly through our chat window and advise us of the situation.